Hiking, biking and enjoying good food in Vinschgau, nearby Meran! Welcome to Hotel Sand****s in Kastelbell-Tschars! 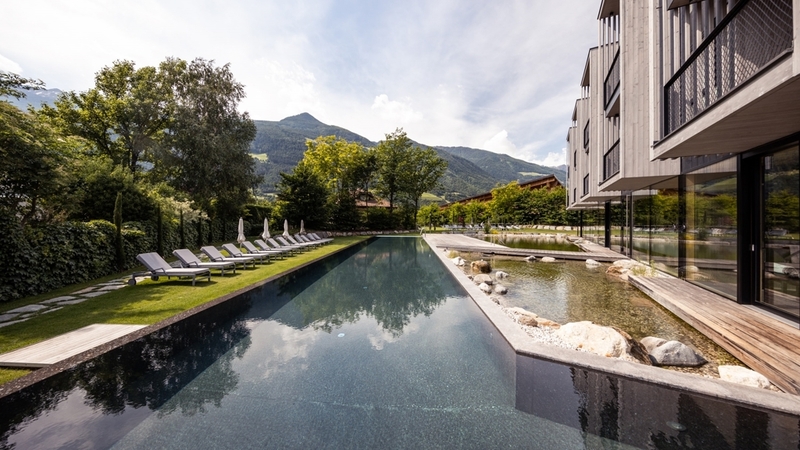 Hotel Sand****s is located in Kastelbell-Tschars in Vinschgau Valley, embedded in a wonderful landscape full of mountains, woods, alps, tars, orchards and vineyards. The nearby Texel Group, Mt. Ortler, the Cevedale massif and the Stilfser Joch National Park make our inviting house into a ideal hike and bike hotel in South Tyrol! 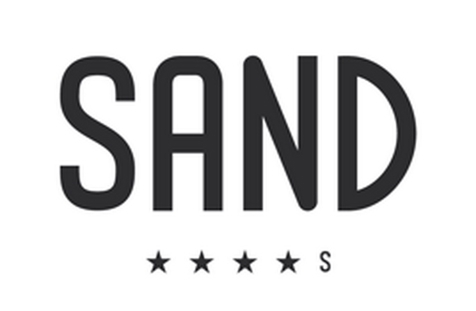 Our Hotel Sand is a house with tradition and modern gastronomy. We set a high value on good food and comfort and offer an extensive wine cellar with excellent wines. We prepare our dishes with fresh and regional products and take also the needs of our sporty guests into consideration. Our rooms are furnished cosily and stylishly and offer every comfort you need. The annexe with 12 spacious rooms (type Junior Suite Design) and a large spa area leaves no wish unanswered. A feeling of pleasant warmth is provided by the steam bath, a Finnish sauna, bio sauna and an infrared sauna. Moreover, we offer an indoor pool, a 25 m sports pool, a bathing pond and a regeneration pond in the large park with vineyards and fruit orchards. The fitness room provides you with new energies for body and soul. As members of the Wanderhotels (hike hotels), we are holiday specialists for unforgettable tours and adventures in nature. We offer guided hiking tours in different levels of difficulty several times a week as well as competent staff and equipment for lending. Hotel Sand is also a paradise for cyclists and mountain bikers. During the long bike season, from March until November, there are numerous mountain bike tours, bicycle paths and trails for downhill mountain biking in the nearby surroundings. We provide guided tours, maps, equipment for lend and courses with the Ötzi Bike Academy. Furthermore you can borrow citybikes for free and high quality mountain bike and e-bikes for a charge. We are looking forward to your visit!sit!